Steam recently released a digital version of the board game Terraforming Mars. I haven't played the digital version (which is getting "mixed" and negative reviews at the time of this writing), but I have played the board game version. 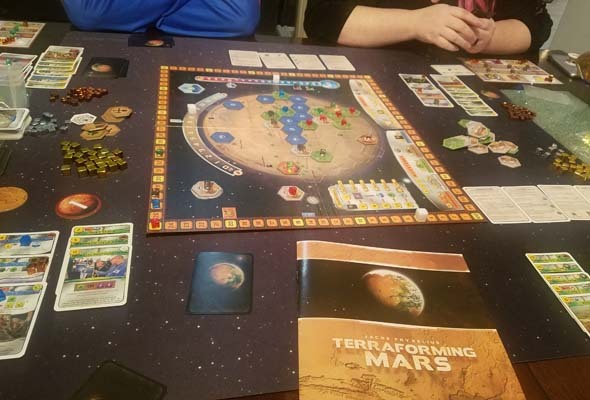 It's pretty fun, and in celebration of the latest NASA probe landing on the surface of Mars, I thought I'd launch a review of the board game. Terraforming Mars has a wide variety of gameplay mechanics, which makes it kind of difficult to clearly categorize it. It also makes it a little difficult to teach the game to new players efficiently. It's not an overly-complicated game, however. It's just a lot of different concepts that you have to explain. Regardless, I've been able to get through learning games with new players in about three or three-and-a-half hours (including the rules explanation). So it's not overly burdensome to learn and play. It's also not terribly hard to simply play a sample round to teach the game flow, and then mulligan the game if any players feel they dug themselves into a hole. 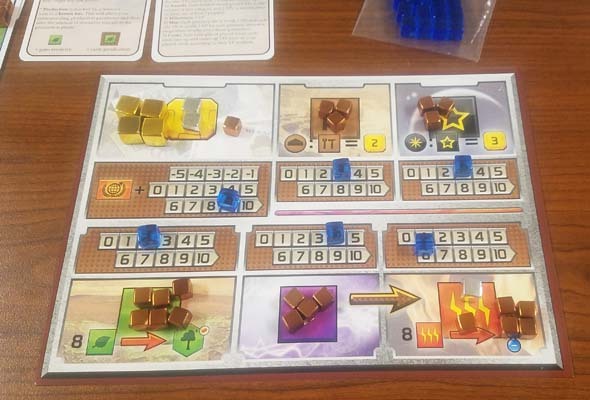 Terraforming Mars has multiple distinct mechanics, ranging from tableau-building to tile-placement. 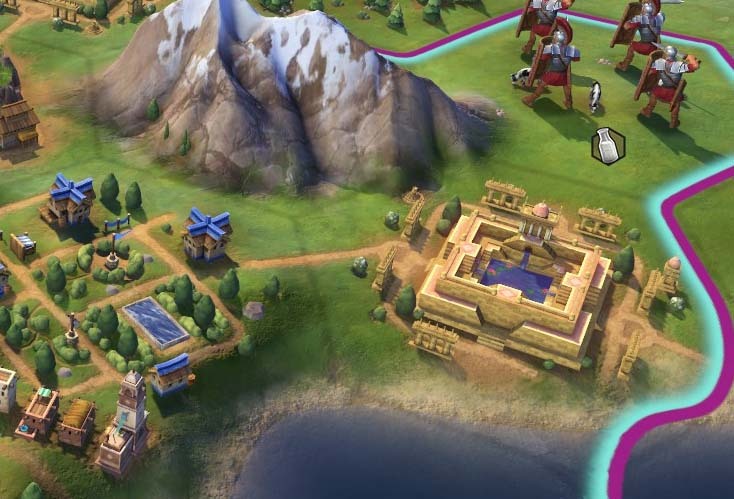 There's tile placement with adjacency bonuses. There's resource management. There's action economy. There's a little bit of tableau building and hand management. There's even a certain degree of bluffing. Playing with the non-basic corporations adds variable player powers, You can even optionally play with card drafting! Pretty much the only thing that we're not doing is loyalty / betrayal mechanics. Despite including so many varying game mechanics, nothing feels out of place, and everything fits together well. The rulebook includes footnotes explaining the scientific basis for the rules and mechanics. Depending on how you play, however, the actual game board and your tableau of cards can sometimes feel very disparate. If you're not actively placing tiles on the board, then the whole board can pretty much boil down to a score and prerequisite tracker. However, if you're avoiding placing tiles on the board, then you're probably going to lose, as I've yet to see a predominantly card-based strategy win the game. The board itself includes a map of Mars' surface, and has notable landmarks on Mars clearly labeled. Unfortunately, the board only covers one half of Mars' surface, so there's some notable landmarks that are not included at all (perhaps the other side of the planet is an expansion?). The resource cubes are very shiny and pretty, and have an appropriately sci-fi aesthetic to them. 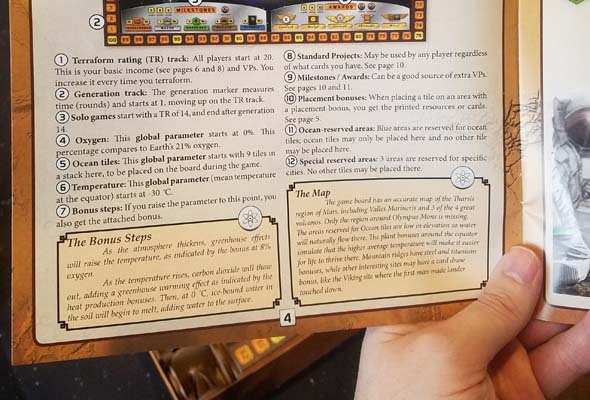 The rulebook also includes little footnotes that explain some of the scientific bases for the game's rules and mechanics. it's like the kind of thing you might expect if Neil DeGrasse Tyson wrote a board game. Science and space nerds will probably really appreciate these efforts at scientific accuracy. The resource cubes are pretty, but shift around very easily on the flimsy, card stock economy boards. Other components besides the resource cubes are kind of cheap and flimsy though. The player economy boards are printed out on basic card stock. There aren't any slots or grooves for the production cubes to sit in, so they slide around very easily if the table is jostled, or if the economy board is shifted around. You may want to invest in some third-party replacements or overlays in order to solve this problem. The box also doesn't have any inserts of any kind for storing components -- just a handful of plastic, zip-lock bags. They expect you to just drop all the cards in a plastic baggie and just toss them in the box haphazardly along with all the other pieces! At a price point of $70 (USD), I expect more from a game's components! Fortunately, where the game lacks in production value, it more than makes up for in entertainment value! 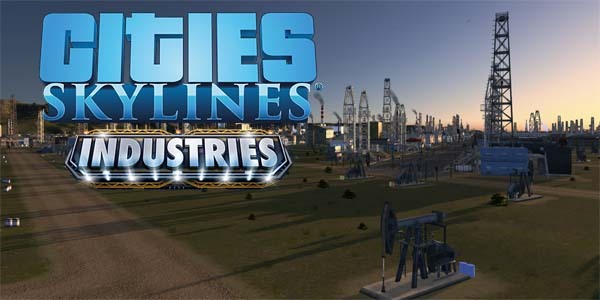 Parklife is perhaps the single Cities: Skylines expansion that I have most looked forward to. That is because the focus of the expansion seems to be pulled almost verbatim from my own "Great Outdoors" wishlist. 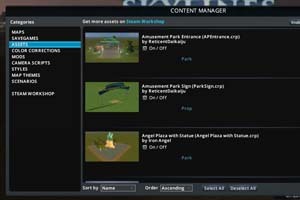 I'm not going to take credit for having designed this expansion for Colossal Order, because I posted that wishlist in February, and the game is releasing in May, so unless Colossal Order is supernaturally efficient at creating expansions, there simply wasn't enough time for them to design and implement Parklife after reading that wishlist. 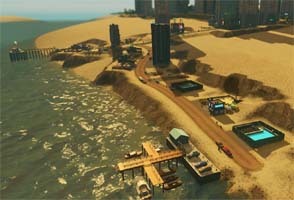 It seems like someone in Skylines design is thinking along the same wavelength as me. But who knows? Maybe somebody did see my wishlist and incorporate some elements of my ideas into the development in progress? It's certainly one heck of a coincidence! Much of Parklife's content seems inspired by mods. In any case, it should seem pretty obvious that I'm pleased to see this expansion incorporate so many of my own ideas and suggestions. While Parklife still isn't going to offer the same degree of freedom and creativity that you can get from mods, having these more free-form park-creation and decorative tools should be a welcome addition for anybody who enjoys adding a little more personal flavor to their city. 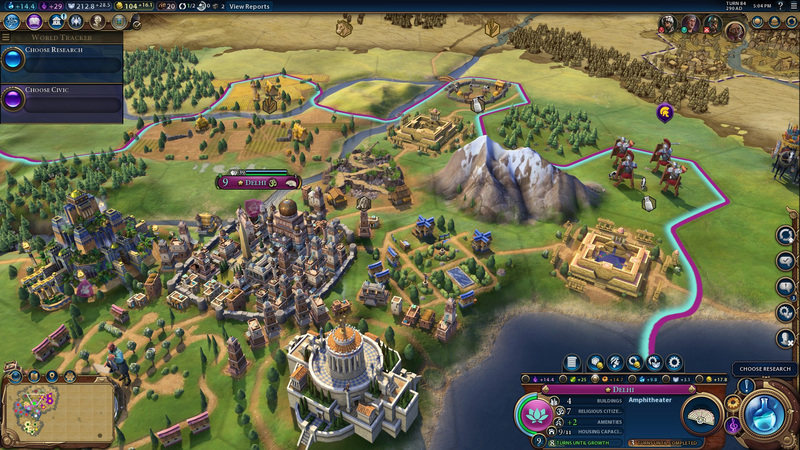 And honestly, is there anyone playing a city-builder who doesn't enjoy making their city look pretty? 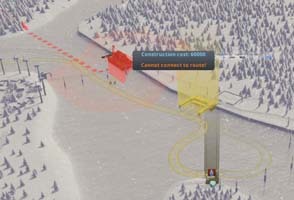 One of the strengths of Cities: Skylines has always been the way that the game utilizes its space and the natural environment. 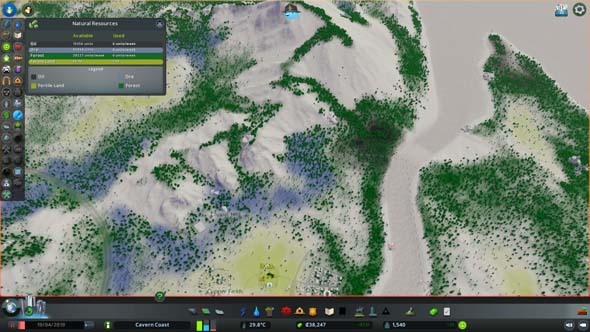 The mechanical limitations of the terraforming tools means that you rarely (if ever) have the money and terrain available to make wholesale changes to the geography of the map. Even if you have a billion dollars saved up in your city's coffers, the fact that every cubic meter of dirt that you excavate has to go somewhere, and every cubic meter of dirt that you dump has to come from somewhere, means that you can only do so much to modify the map. 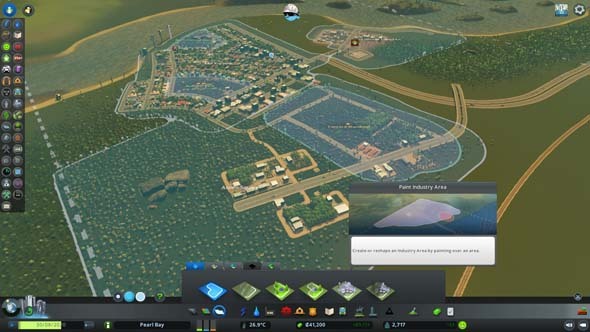 Starting out with a limited budget, small pool of unlocked buildings, and a relatively small plot of land means that young cities often have to work around environmental and natural obstacles, which made those obstacles part of the character of your city. Well now you can actually formally use those obstacles. I now have a more meaningful choice of how to utilize this resource-rich mountain. Parklife allows you to leverage these features of your landscape as part of your city-beautification plans. 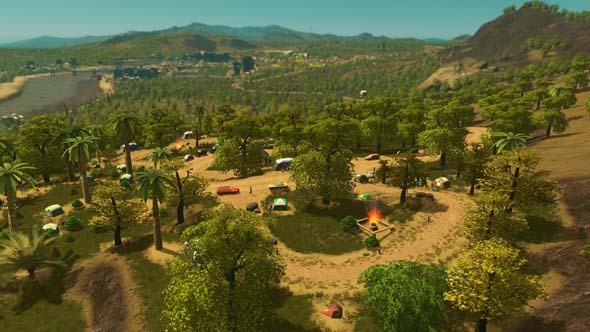 That mountain that is too big to level, and too steep to realistically build on, can now be turned into a massive park, complete with hiking trails, lookout points, and so forth. If that mountain also happens to have ore or oil resources under it, then now I suddenly have some meaningful choices to make on how to effectively utilize the resources. What used to be a near-obvious matter of "build some mines" actually has some viable alternatives. Sure, you were always able to place walking paths in places like that, but the game (and the citizens of your city) never really recognized it as a place they can go for leisure and entertainment. If they didn't have to go to work on the other side of that mountain, they simply wouldn't walk those trails. No matter how beautiful you would make it, that mountain-side hiking trail was always little more than useless dead space. Areas that used to be dead space that was impractical for construction can now be utilized. 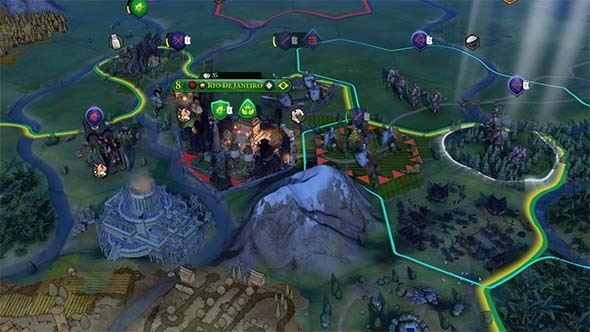 Civilization VI may look very similar to Civilization V at a glance, but once you start playing it, you're going to notice a lot of subtle differences. One of the most immediate differences will be the changes to unit-movement rules with respect to terrain. 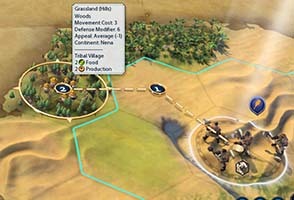 Units still travel on hexes, and terrain such as hills and forests still slow down movement, just as in the previous game. But this time around, the cost to enter a tile must be paid before entering that tile! This is a small, but significant change of rules that may force you to change the way that you explore the map. The rewards of exploration are many, and finding these rewards is key to a good start. 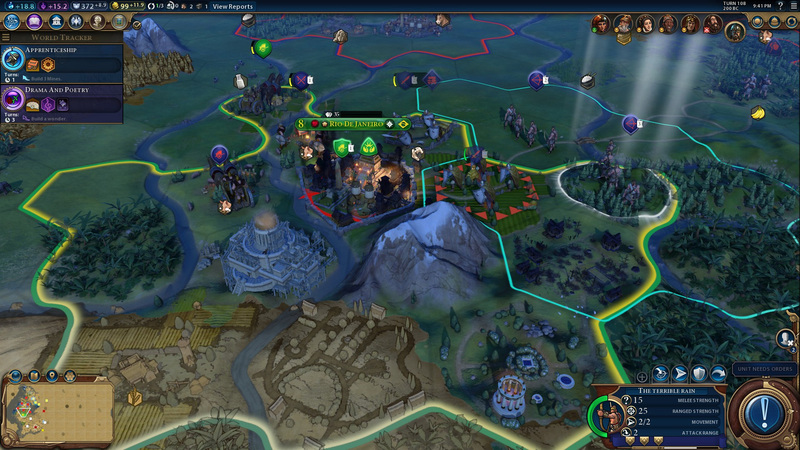 Efficient exploration is key to getting off to a good start in Civilization. And a good start is key to success at higher difficulties and in competitive multiplayer. This is still true in Civilization VI. 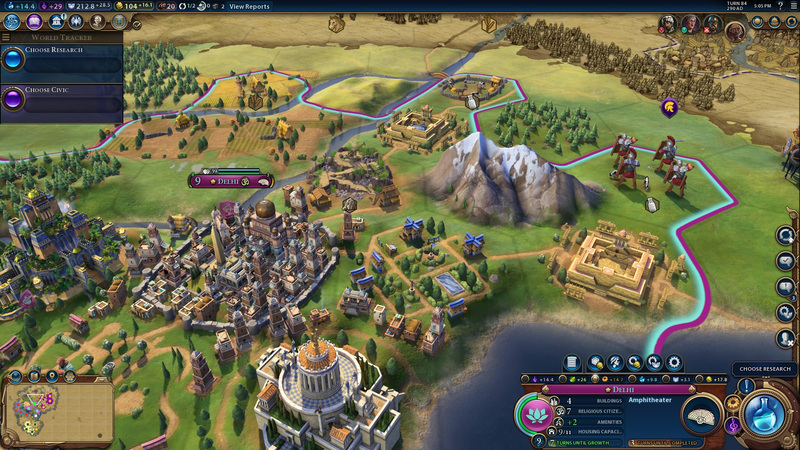 First and foremost, exploration will reveal valuable real estate for settling your first few cities, including resources, coast lines, and natural wonders. An efficient explorer will also be likely to uncover more tribal villages (i.e. "goody huts"), which will grant tech boosts, extra money, free units, or a head start towards founding your own pantheon. 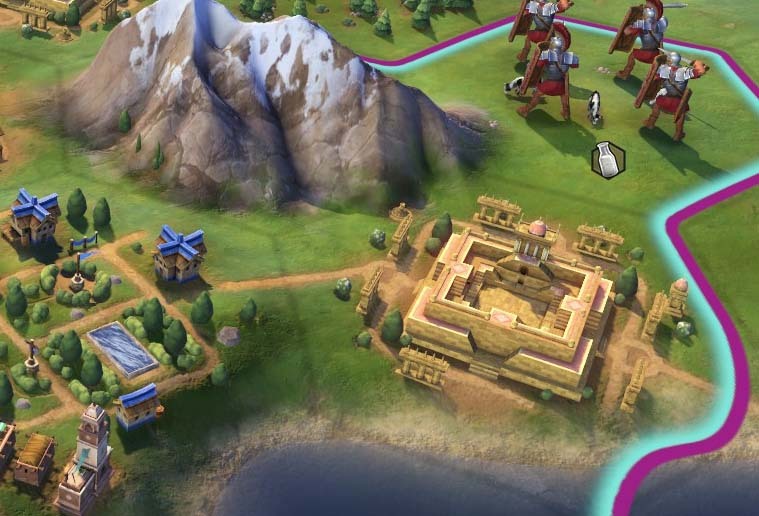 Efficient exploring will also introduce you to more city states, and you'll be more likely to be the first player to meet the city state. Being first to meet a city state will grant you a free envoy. 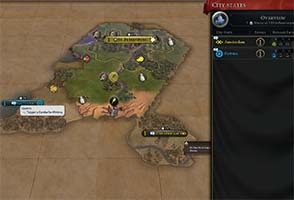 This will grant you an immediate bonus depending on the type of city state, and it will put you one step closer to unlocking additional bonuses and becoming the suzerain of that city state.